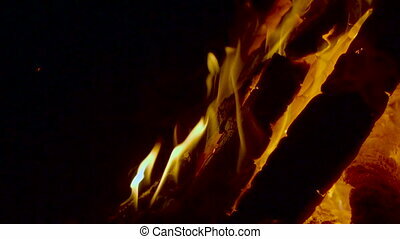 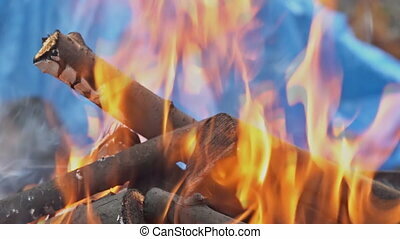 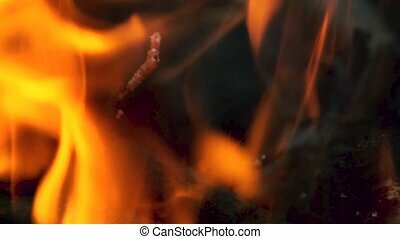 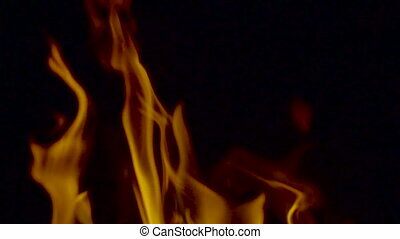 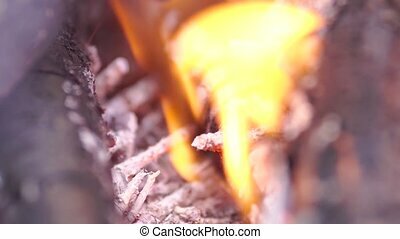 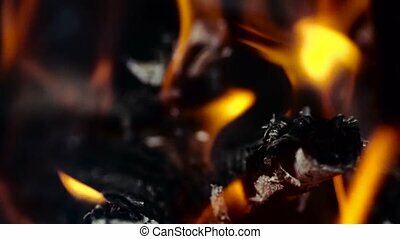 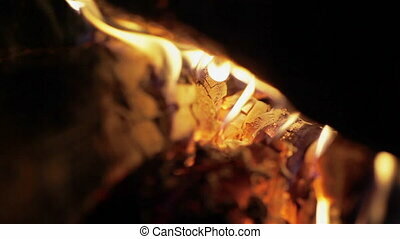 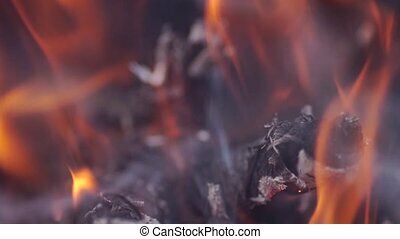 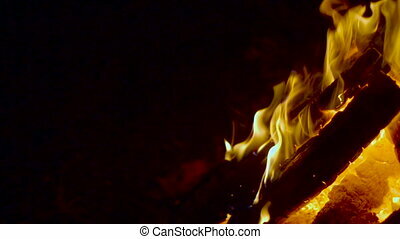 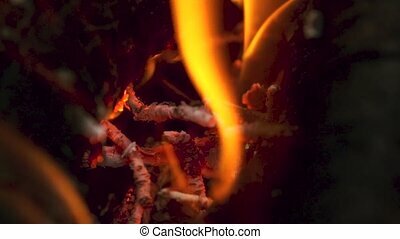 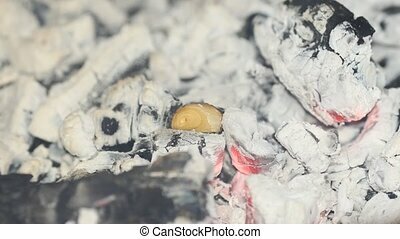 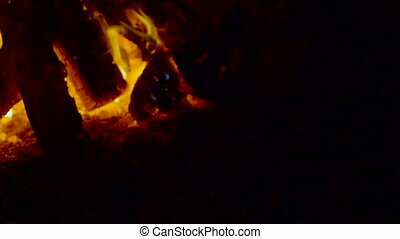 Bright burning wood, campfire macro video. 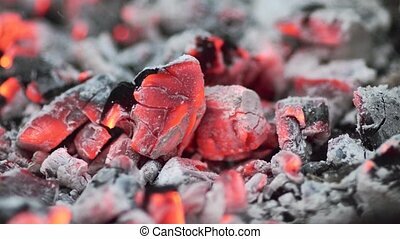 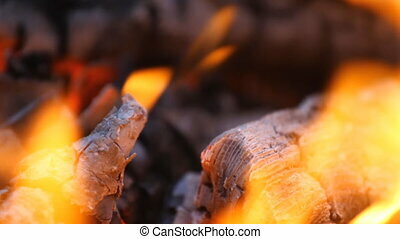 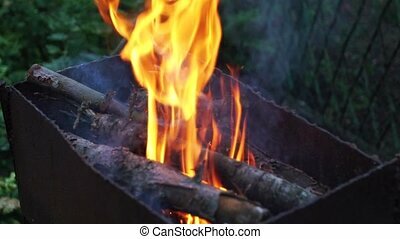 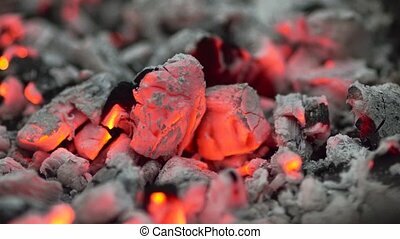 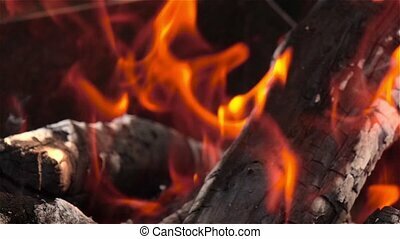 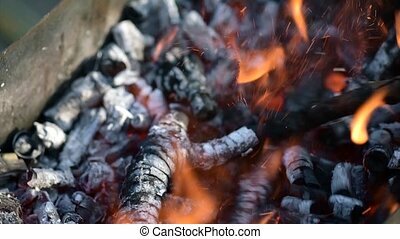 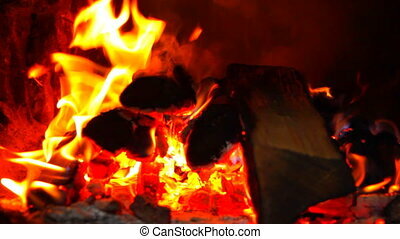 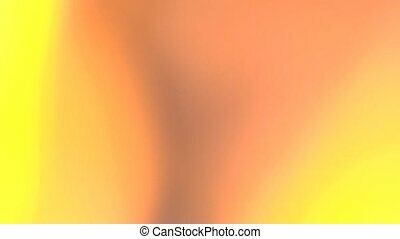 Bright burning wood on fire in a BBQ grill. 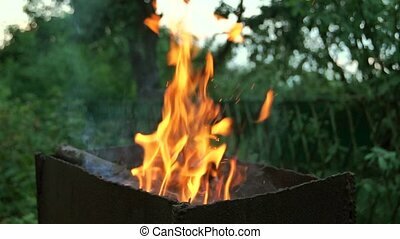 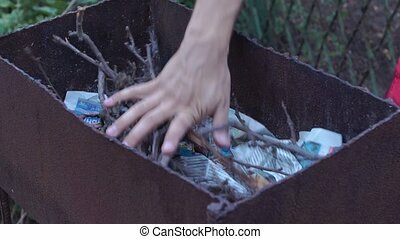 Preparing the grill for the barbecue.